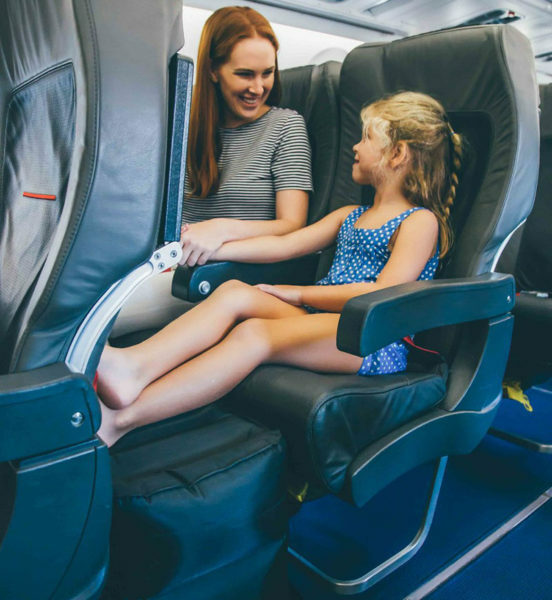 Giving kids the ultimate upgrade in comfort, Plane Pal is changing the way your family travels! 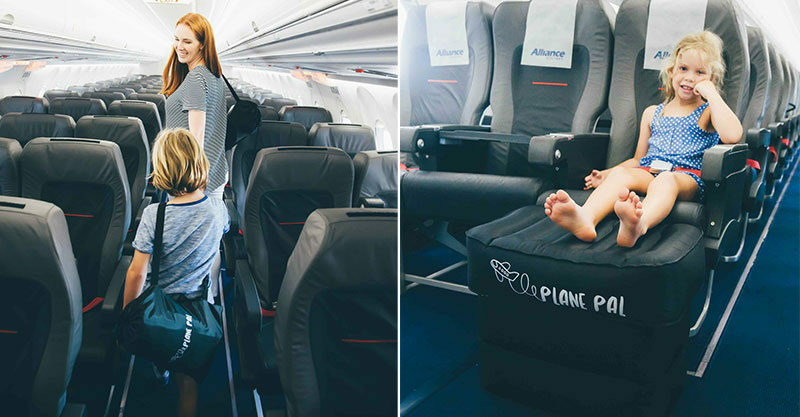 An resourceful design, the inflatable Plane Pal ottoman is a surefire way to keep kids comfortable in their plane seat – and with any luck, prevent them from kicking the seat in front. 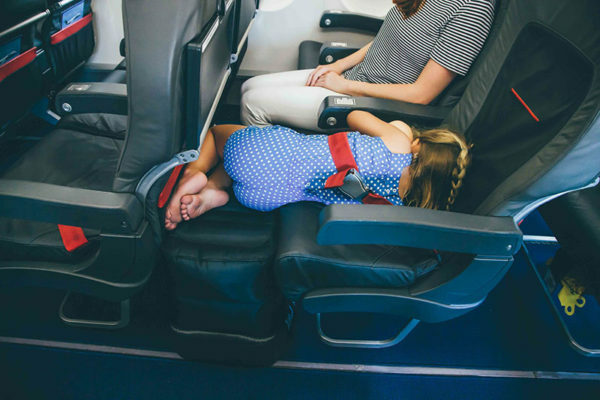 Designed to fill the leg space between your child’s seat and the seat in front, Plane Pal creates a handy flat surface for kids to extend restless legs, or dare I say it, lay down and have a mid-flight snooze. Lightweight and compact, it’s a cinch to take on-board and includes a pump for a quick and easy setup after your plane takes to the sky. The Plane Pal full kit, $79.95, includes a pump and storage backpack. For extra kids, additional Plane Pal cushions are available, priced $69.95. Order direct at Plane Pal. Check with your airline before you buy and fly that they allow the product’s use.